I have been watching the Renault Captur ever since it caught my attention in Europe. It looked like a stylish crossover that made perfect sense for the SUV inclined market that we have become. 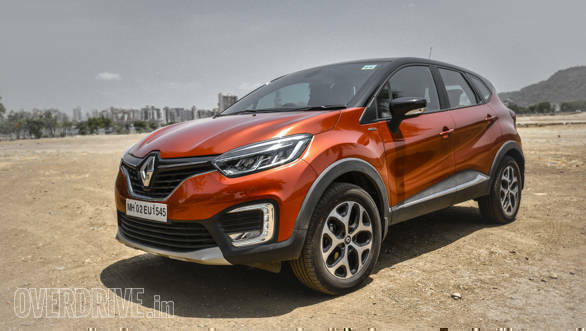 The Duster has done all the groundwork to establish Renault as a brand to be taken seriously in the compact SUV space and the Captur has the potential to push the envelope further for the French brand. 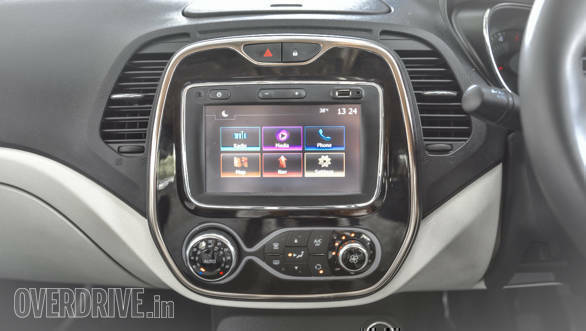 So when the India-spec Captur was born on the Duster's underpinnings I was keenly looking forward to getting behind the wheel. When I finally did, the steering wheel welcomed me in typical Dacia fashion, kicking back with understeer as I chucked the car into a corner on the racetrack (during the OD Awards Jury Round). Such a familiar feeling that. It's platform siblings, the Duster and the Lodgy, have coincidently been my workhorses during their long term test tenure at OVERDRIVE. The two cars were a part of many long road trips and the Lodgy even proved to be a frugal and capable back-up car during the 2016 Overdrive Independence Quattro Drive. So the Captur has a lot of expectations riding on it. I'm not a big fan of the orange exterior paint that our test car has come with, but if I had to live with it for long, I would give it a contrasting white roof similar to the Euro-spec car. It not only looks better than the oh-so-common black roof, but should also aid in better cooling of the cabin - something that the Captur could certainly do with, as we found out in our Ultimate AC test last month. To that effect, I would also replace the faux leather upholstery with 3D mesh fabric for better cooling efficiency. Our test car came with a drained battery on the keycard and gave us a scare in rush hour traffic as the car refused to start at red light after it failed to detect the keycard. The fix cost only Rs 125, but the new battery in the keycard seems to be draining out quickly too. We will give it the benefit of doubt since the replacement keycard battery was procured from a roadside watchmaker. So more on the permanent fix in the next update.